The MPRO Collection delivers on function, style and quality for a look that encapsulates a modern elegance that’s second to none. This stunning bath shower mixer features a twin lever design with a curved spout and a handheld single function pencil handset, the majestic styling reflects its precision engineering, superior performance and the very best components. 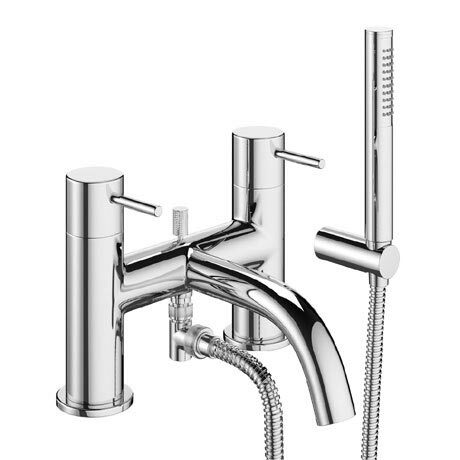 Manufactured from brass and finished in a high shine of chrome that beautifully encapsulates modern elegance.